It has been a busy few months for the Association since the last newsletter. The highlight of the last few months was the unveiling of the sculpture of the Unit Badge in the Great Court of the University. 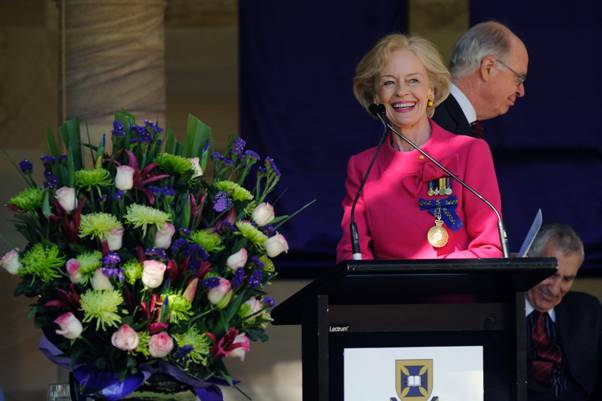 On 3 July 2010 Her Excellency Dr Quentin Bryce AC, Governor General of the Commonwealth of Australia, unveiled sculptures of the badges of the Queensland University Regiment and the Queensland University Squadron (RAAF). The badges were sculptured into the column capitals in the cloister of the heritage listed Great Court of the University at St Lucia. The sculptures were created by acclaimed sculptor Dr Rhyl Hinwood. The badges can be seen on two column capitals in front of the entrance to the Parnell Building by standing on the grass in front of the main entrance and looking to the right of the door. The Parnell Building is situated on the south western corner of the Great Court. Photographs can be seen in the special report of the ceremony later in this newsletter. 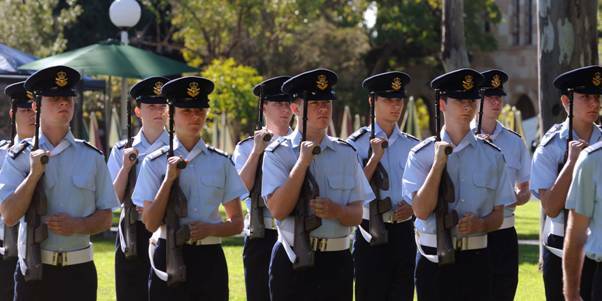 Along with members of the RAAF, QUR formed a guard of honour for the Governor General. 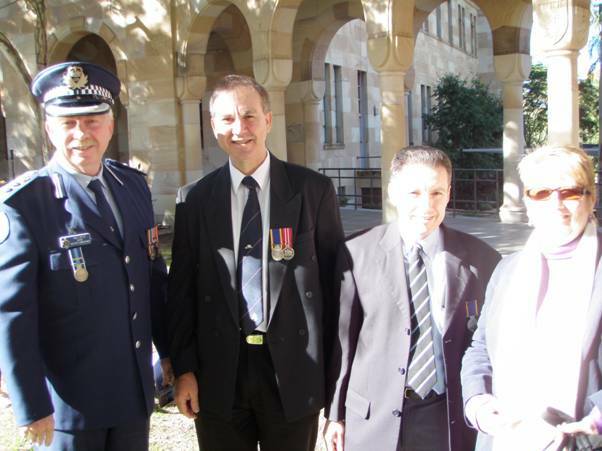 Speeches were presented by the Vice Chancellor Professor Paul Greenfield AO, Her Excellency the Governor General, the Commanding Officer QUR LTCOL Tim O’Brien, Brigadier Sam Harrison foundation member of QUR and first President of QURA, and Mr Ted Vowles, President of QAS. It was a unique event in that Brigadier Sam Harrison was one or the first soldiers in QUR, a past Commanding Officer, a former Honorary Colonel and the first President of the Association. There was a good roll up from ex members of QUR. Following the unveiling, guests were able to mingle with old friends over morning tea. A pictorial coverage of the ceremony, copies of the speeches by the Commanding Officer, and Brigadier Sam Harrison can be seen later in this newsletter. 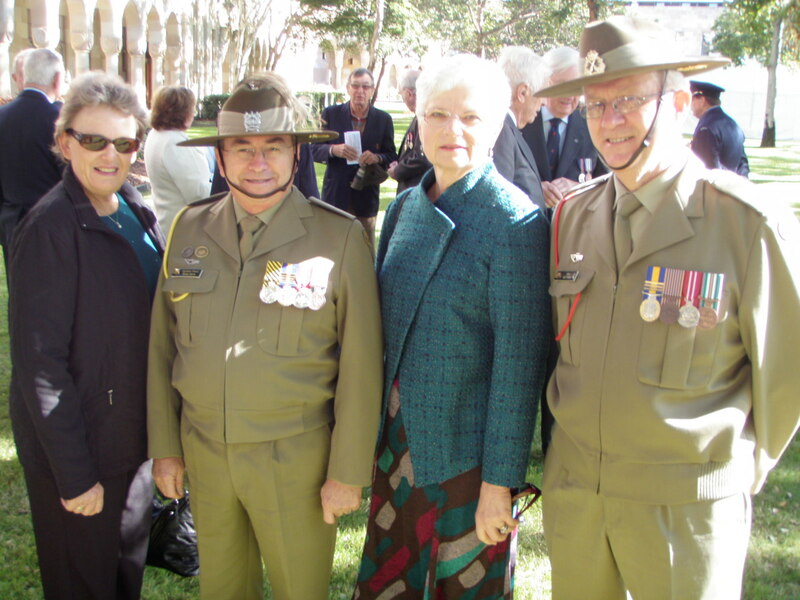 The Association was able to fund the cost of the sculpturing of the badges through a grant from the Department of Veterans Affairs (Saluting Their Service Commemorations Program) and from donations from QURA members. I wish to thank all those QURA members who donated to the cost of the project. The ceremony was highly memorable. On behalf of the Association I wish to pass congratulations to the Commanding Officer and members of the Regiment for a job well done. Work is ongoing with the recording of the photos and documents from the past years. This will ensure that QURA do not lose the history through the gradual decay of the images and paper documents. A decision will be made as to how we make the electronic history available to members. It is anticipated that we will record the history onto CD/DVD. QURA will forward copies to the Australian War Memorial , the library at the University of Queensland, and the John Oxley Library. This will ensure that families will be able to undertake hereditary research in the future. Members will be aware that QURA completed a book of the written history of QUR in December 2000. Copies are still available for purchase. A project to complete the next ten years has commenced. It is planned that the additional written history document (2000-2010) will be completed by the end of 2010. I appeal again to all to search your own history items and permit us to borrow any QUR items so we can expand our historical collection. Members should remember that we lost a huge part of the historical items through the 1974 Brisbane floods. Please contact me (0437 442 964) should you want to arrange for us to borrow any items you might have. One of the most pleasing events of the past months for me was the unexpected contact made by ex members. I have been delighted to receive phone calls and emails from many members who have reacted to the contact we made through the invitations sent for the sculptured badge ceremony. Additionally we are happy that ex members and members of the general public have been “googling” QURA to find our magnificent website. We will be continuing to chase as many ex QUR members as we can so we maintain contact with the Regimental family. The Annual General Meeting and Dinner for the Association will he held at the United Service Club, Brisbane, on Friday 10 September 2010. We have been honoured by Brigadier Iain Spence, Director General Reserves, Australian Army, in that he has accepted our invitation to join us on that evening. He will be happy to talk to us about the Reserve Forces in Australia today. I look forward to hear what is happening today in Defence. I am delighted to inform you that we have been able to cost the function at $65 per head. This is exactly the same as last year and covers a three course meal with drinks. I invite you all to that evening. The atmosphere is very relaxed with a minimum of business of the Annual General Meeting. It is great to meet old friends again. Why not contact some of your old comrades and get them to attend the dinner as a reunion? Later in this newsletter you will find an advertisement for the evening. In the current financial climate, negotiations with the USC requires us to confirm attendance numbers several days before the function. We are able to adjust numbers closer to the evening but we remind members that we are charged for the dinner costs for those who accept our invitation and not turn up at late notice. As usual there will be an election of members to make up the Executive Management Committee. Should anyone wish to be nominated for any of the positions please fill out the Committee Nomination form (Click here) and email to Peter Morton . I encourage all to attend. You will have a great time. We have booked the Victory Hotel for our Xmas drinks function. It will be held on Thursday 2 December 2010. We have chosen a Thursday evening as the venue is not crowded with Xmas revellers. We organise a special area for our function so members can chat in comfort. We will advertise this function closer to the date. I look forward to meeting you all again at the AGM. The ceremony held on 3 July was a great day in the history of the Regiment, and I would like to take this opportunity to thank the QURA for all its work in helping to make the day a success. In 2009, when I advised the QURA of the University’s offer to commission the badge, the Association immediately threw its weight behind the project – and its support did not falter. From the promotion of the event, through to the funding of the engraving and several other support functions, the QURA can take much of the credit for the great success of the day, and, on behalf of the current serving members of the Regiment, I whole-heartedly thank the Association. With regard to the ceremony itself, the Regiment could not have hoped for a better outcome. I am very proud of all members who participated, and of all those who worked so hard, along with the UQ staff, Government House staff and the RAAF to plan and prepare for the day. I, along with the other members of the Regiment feel very fortunate to be serving in the Unit at the time this piece of its history was created, and to have taken part in the ceremony. The sword carried by the guard commander, Major Tony Smith, was the sword of Brigadier Tom Parslow, presented to the Unit by the Parslow family in May. We are currently arranging an appropriate image of the parade, that will be presented back to the Parslow family. As all the audience marveled at Brigadier Sam Harrison’s fine speech, without notes, Her Excellency turned to me and remarked “isn’t he wonderful”. On her departure, Her Excellency remarked to the Chancellor and I that “it was a shame she had to leave so many dear friends”. Although the ceremony will be confined to a single date in history, it is very gratifying to know that the service of all QUR members, both past and present, will now be forever recognized in such an enduring manner within the historic cloisters of the University’s Great Court. Aside from the ceremony, I am equally proud that the Regiment sustained its high tempo of training delivery, uninterrupted by the event. Indeed, the Regiment was amidst conducting two officer courses at the time the ceremony as held. Finally, I am looking forward to again catching up with members of the Association at its upcoming AGM, and the opportunity to provide them with an update on the activities of the Regiment. For those that were unable to attend and missed a most excellent ceremony, the following is a pictorial record of the event. 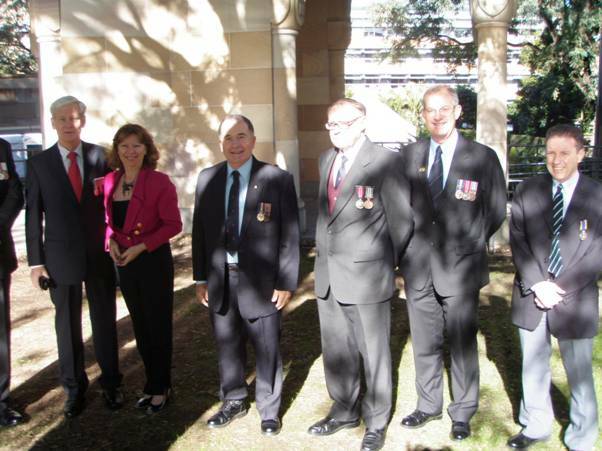 It is my intention to make some brief reference to the development of Queensland University Regiment. In 1932 two graduates Thomas Penberthy Fry, lecturer in law and Cecil Ellis an engineer commenced recruiting a university platoon to be a sub-unit of 9115th militia battalion. 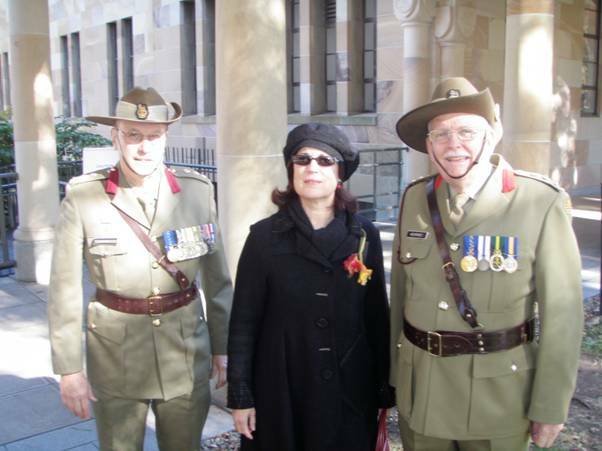 In the next year returning Rhodes Scholar James Mahoney was appointed to command Queensland University Detachment which by 1939 had grown to two platoons and the battalion intelligence section. 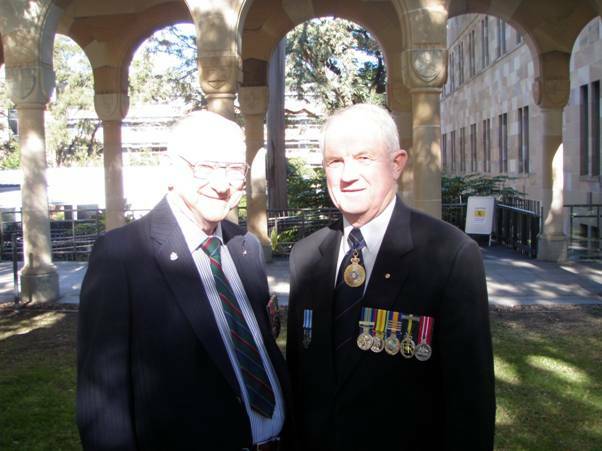 At the outbreak of war some joined the navy or air force but two who remained with the army were Thomas Penberthy Fry who became Deputy Judge Advocate General and James Mahoney who was Brigade Major 7 Brigade at the landmark victory over the Japanese at Milne Bay in 1942. In 1947, the army no doubt impressed by the outstanding leadership of graduates such as Brigadier Eric Martin who became the unit's first honorary colonel and Robert Risson who became a general, decided that each of Australia's six universities should have a regiment. So a rifle company was raised under the command of Captain Jack Lawrence Kelly growing by 1950 to an independent unit commanded by Lieutenant Colonel August Shaw Gehrmann. "This man is twice the citizen an upholder of his country in peace, yet ready for war." 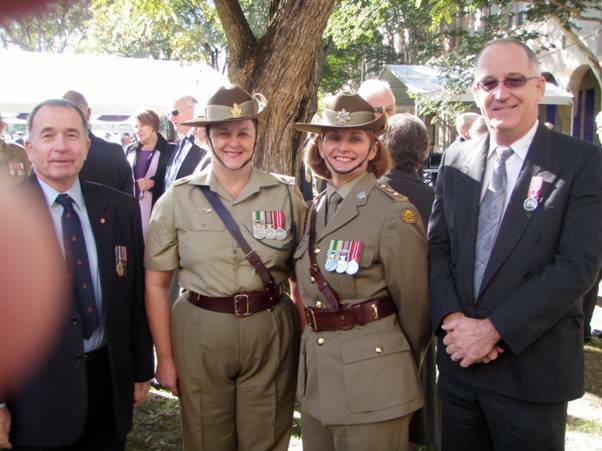 In 1978 new colours were presented by His Excellency Sir Zelman Cowen to the unit which by then included female soldiers. The original colours having been damaged in the 1974 flood were laid up in The Warriors Chapel Emmanuel College. Your Excellency, members of the QUR Association respectfully acknowledge your presence here today as a confirmation of the bond between unit and commander in chief established by your predecessors. 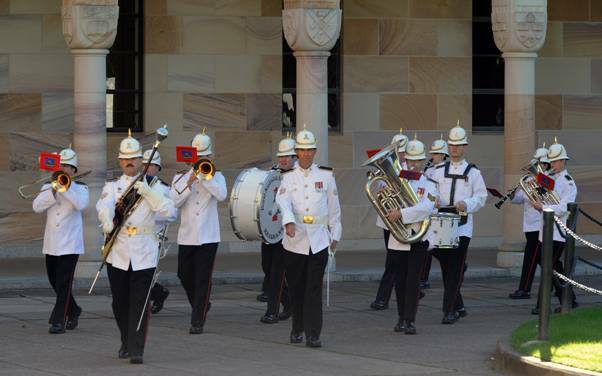 Freedom of The City of Brisbane was granted to the unit in 1986 at a parade which included a march past and salute to Lord Mayor Sally Anne Atkinson. 1997 marked the final graduation parade at St Lucia for that ceremony is now held at Royal Military College at the conclusion of a residential qualifying course. In 2005 Lieutenant Colonel Nan Bahr became the first female Commanding Officer and she was followed by Lieutenant Colonel Jenny Cotton. In the years since Ellis, Fry and Mahoney provided such a splendid foundation for today's regiment there have been thousands who have proudly worn the badge so brilliantly depicted in our university's great court. "Every man feels mean for not having been a soldier or not having been to sea." • Your Excellency - Ms Quentin Bryce AC - Governor General of the Commonwealth of Australia. • Your Excellency Mr Michael Bryce, AM, AE. 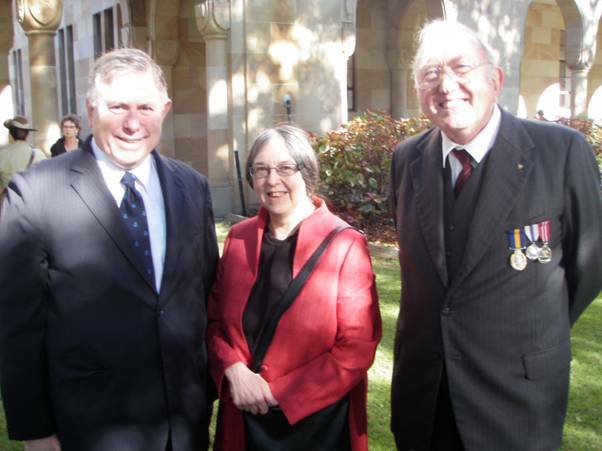 • Mr John Story – Chancellor – University of Queensland. • Professor Paul Greenfield – Vice Chancellor – University of Qld. • Major General Mick Slater – Commander of the 1st Division – and representing the Chief of Defence Force, Air Chief Marshall Houston. • Air Commodore Andrew Kilgour, Queensland University Squadron. • Acting Assistant Commissioner – Paul Doyle – representing Commissioner for Police, Bob Atkinson. I would like to begin by congratulating the University on its 100th anniversary. 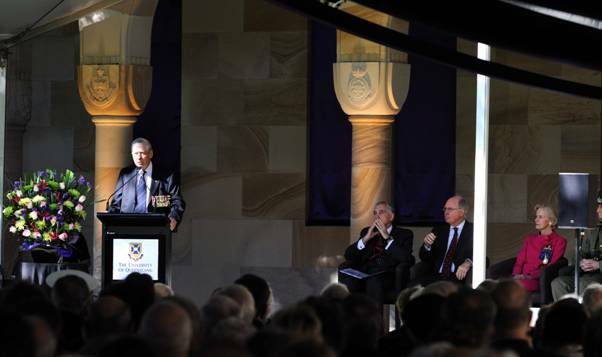 As I conveyed to the Chancellor and Vice Chancellor back in April - such a milestone is noteworthy for any institution but, in the case of UQ, it is made all the more so, by the outstanding contribution that it has made to the community throughout those one hundred years – So our Regiment takes this opportunity again, today, to congratulate the University. Secondly, I would like to sincerely thank the University - on behalf of all current and former members of the Regiment - for the honor it has paid to it, through the commissioning of this magnificent sandstone badge. I understand that our Regiment, and the University Squadron, are the only two bodies, other than Universities, to be recognized in this way and we are genuinely humbled by the gesture. 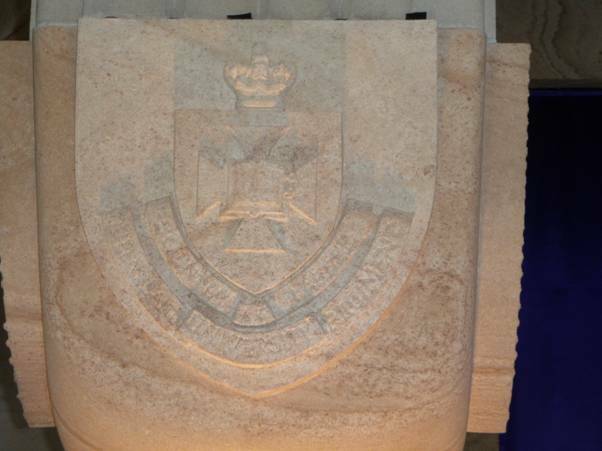 From the Regiment’s perspective, we see this sandstone badge as permanent recognition of the very close connection that exists, on many levels, between our Unit and the University. Some connections are rather obvious – the Regiment’s badge, its motto, and indeed its name, are all derived from those of the University itself. So, even to a casual observer, some links are quite apparent. But we are also very similar in function. Within the Army, our Regiment is a Training Establishment, providing what could be regarded as undergraduate, post graduate and vocational training for members of the Army Reserve. The traditional role of our Regiment has been what is known as the First Appointment Course - which is very much akin to an undergraduate course for those aspiring to be officers in the Army Reserve. 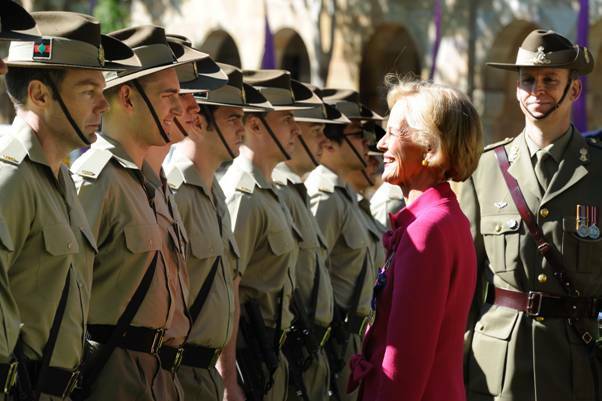 Young Australians, mostly University students, undertake a very thorough training programme, with the successful cadets graduating - not with a bachelor degree - but with the much prized Queens Commission as an officer in the Australian Army. And, just like graduates from this University, those newly commissioned Lieutenants then leave the Regiment, go out into the wider Army, and bring into practice the skills, knowledge and attitudes that they have developed through their training. In recent years, the Regiment has also assumed the responsibility for delivering higher levels of officer training with what are referred to as Grade 2 and Grade 3 courses. These courses are very akin to post graduate studies, for officers seeking to achieve the higher qualifications necessary for promotion to the ranks of CAPT and MAJ. 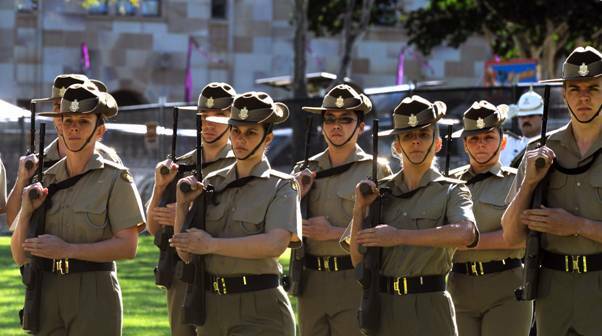 Ours is the only University Regiment in Australia that delivers this post-graduate training. And lastly, but certainly no less importantly, our Regiment also delivers a range other training which is essentially vocational training for Reserve soldiers. Courses such as IET for Infantry soldiers; driver’s courses; and a number of others specialist courses, all of which provide specific skill-sets for use by soldiers, in their military workplace. So, you can see that, quite apart from the obvious connections through our names and embellishments, there is a great similarity - in function - between the University and the University Regiment. However, the greatest link between our two institutions – in my view - is the personal connection that exits through our common alumni. 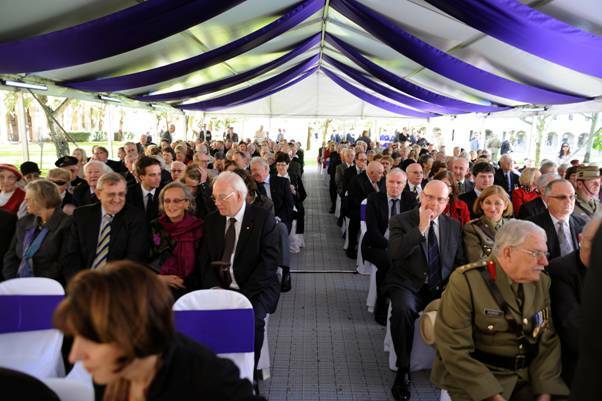 Since the Regiment was established in 1948, there have been – literally – thousands of University of Queensland students and staff who have served in the Regiment – many of whom, have gone on to distinguished civil and military careers – and, I am glad to say, many of whom are here today. I believe, it is through this personal connection, of the common alumni, that the relationship between our two bodies is elevated beyond being just a ‘connection’ to one that is a very deep and enduring bond. Perhaps the best example of this can be seen in the most senior representatives of each body – both present here today. 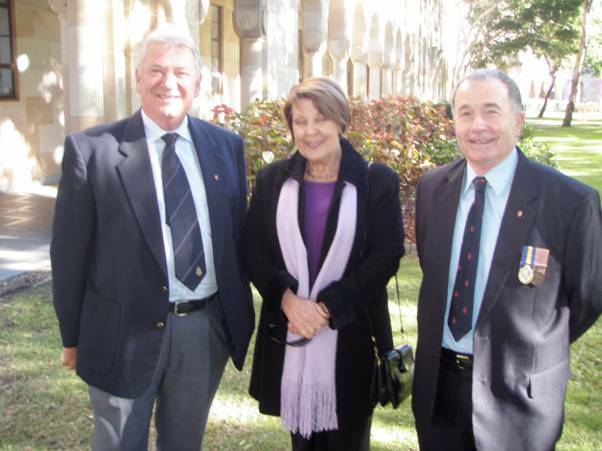 • From the University, Chancellor John Story is a former member of our Regiment. 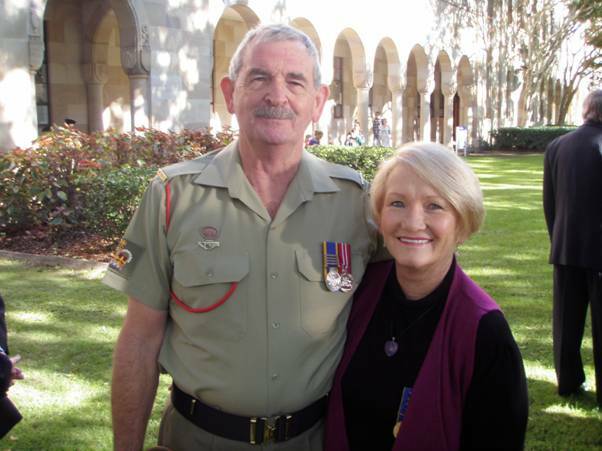 • From the Regiment, our Honorary Colonel, MAJGEN John Pearn is an alumnus of the University – indeed, in 2004, he was recognised as its Alumnus of the year. So from the university students, who currently serve in our Regiment, through to the most senior figures of each institution, the personal connection is very real and very strong – and, to me is the most profound and enduring link that our two bodies have. In closing, can I again thank the University, not only for this great honour that you have paid to the Regiment, but also for all the hard work that your staff have put in to organize today’s ceremony. Our Regiment is very grateful. I would also like to thank Rhyl Hinwood, the sculptor of the badges – thank you for your fine work – this piece of our history was entrusted to very safe hands. Your Excellency, may I thank you for performing today’s unveiling. This is an important day in our Regimental history, and it is made all the more memorable by your presence here today. 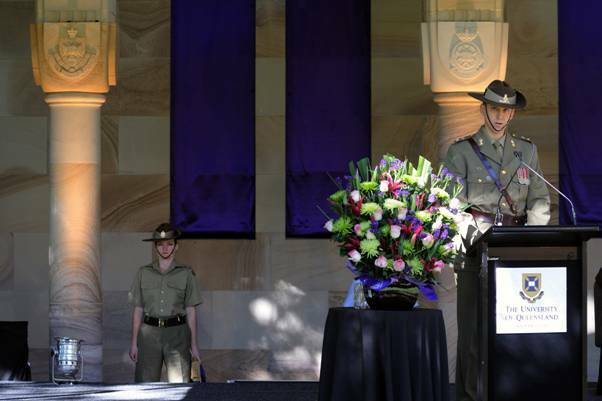 And, finally, may I end where I began, by again congratulating the University on the milestone of its Centenary – may the University of Queensland continue to grow from strength to strength, and may its bond with the Queensland University Regiment continue to remain strong. 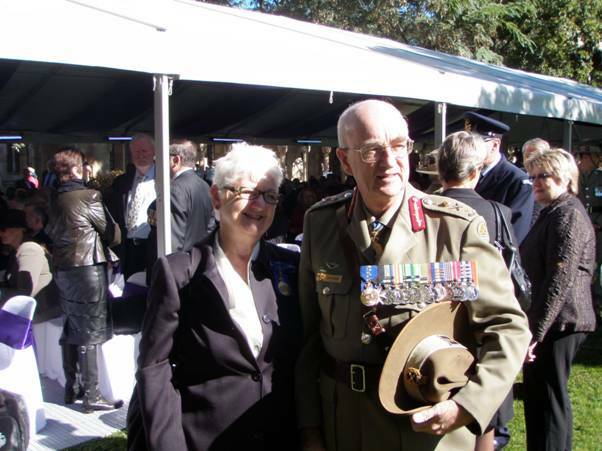 The Governor General of Australia unveiled sculptures of the badges of the Queensland University Regiment and Queensland University Squadron on 3 July 2010. The following pictures are sourced from the official pictures taken by the University of Queensland (Mr David Spoule and Mr Stewart Gould). Some pictures of QURA members who attended were taken by QURA members. The entire collection of photos numbers around 300 photos. Should any member want a copy of the photos, they can be purchased from Trevor Luttrell for a cost of $15.00 (to cover postage and cost of CDs). Col Ahern asked me to let you have some details on Ian Hughes. Ian died on 9 June. I can provide more detail if you need it. He served in QUR from early 1951 until about 1954 as a machine gunner in Support Coy and was the unseen driver of the carrier in the disc of Regimental pictures. (His brother Keith is one of the crew of the carrier). Ian had served in 25 Bn for a year or so before joining QUR while he was a part time student in Science at UQ. From memory he transferred back from QUR to 25 Bn as a sergeant qualified for first appointment and was immediately commissioned. He used to reminisce on field firing exercises at Noosa. Ian then served on in 25 Bn for maybe 15 more years reaching the rank of Major and I believe was Battalion 2i/c and apparently administered the Battalion in a void between Commanding Officers. He would have had an ED and possibly an RFD. Ian was a foundation member of QURA and was involved in the collection of Regimental history, acknowledged subsequently by Paul Smith. Just to let you know that Sid Smith RFD died last night. He had been unwell for many years. Sid was a contemporary of mine. He was, I think, OC HQ Coy in the late stages of Sam Harrison's and the early stages of Ken Gaulton's command. I remember he was the very antithesis of that mythical Q persona. Even if he did not have what you wanted,he would try to get it.. Even if he could not give you something, his cheerful refusal never offended. His wife told me he received the RFD and National Medal only a few days before he died. The receipt of these medals at that time were a great source of pleasure to him. Sadly he will not have the opportunity to wear them. I'm currently in Oregon and have just read an e-mail from a Brisbane mate informing me of the death of Sid Smith. 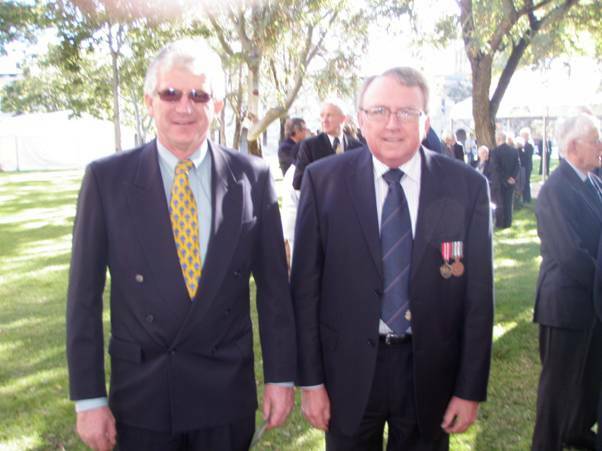 Sid was a QUR member at about the same time as I was and was also an officer of cadets. He spent part of his teaching career at Yeronga SHS. Has anyone ever heard of Creech AFB? I hadn't, but our Friday night dinner speaker was Colonel Chris Chambliss, Commander of the 432nd (UAS) Wing at Creech AFB. All of the Air Force's unmanned drones are now operated from Creech Air Force Base, 45 miles northwest of Las Vegas at Indian Springs. They used to run out of Nellis AFB but now have their own Wing at Creech AFB. Some of his comments: It's the most deadly remote controlled plane in the world. Pilots fly it like a teenager playing a video game. Airmen at Creech AFB can control the Predator drone and the second generation Reaper anywhere in the world. 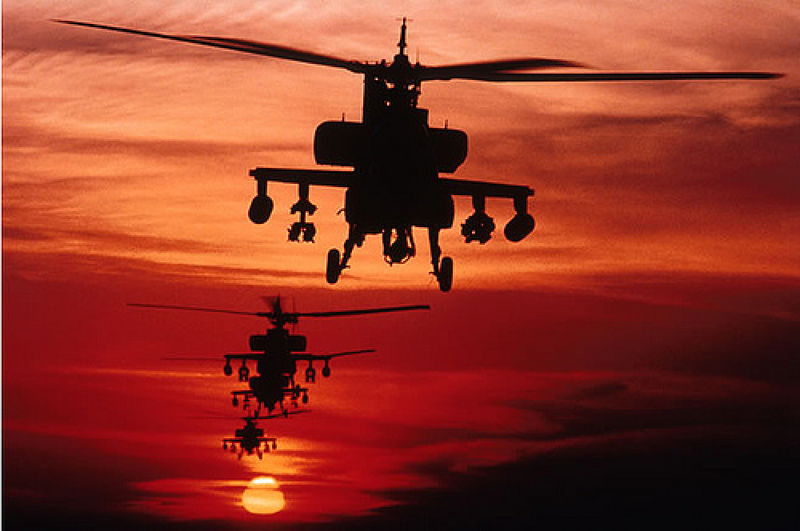 "At least since 2001, Predator's have been airborne 24 hours a day, 7 days a week , primarily over Iraq and Afghanistan .. There has never been a time when we haven't." The unmanned program is so successful it's now under the command of the Air Force. "We are going to increase the number of combat air patrols that we fly with it and the number of hours astronomically," Col. Chambliss said. This year the Predator drone will fly 75,000 hours -- up 20-percent from last year. Overall a very interesting and informative talk from Col Chambliss. What a different perspective on future combat roles! Saturday we attended the Nellis AFB Air Show, and that is one HUGE air show. Sunday was the last show of the season for the AF Thunderbirds. Our Sunday night dinner speaker was Major Chris Austin, who flies the #2 left wing position with the Thunderbirds. 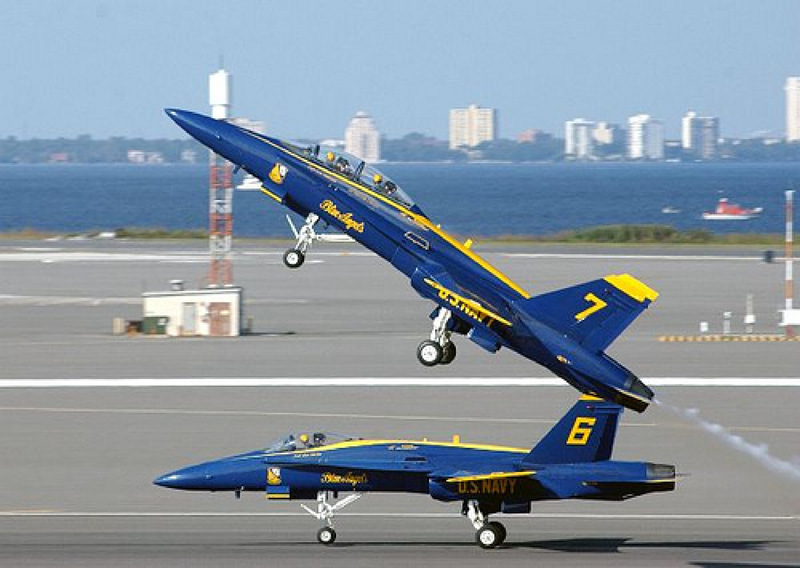 He gave a very informative talk about some of the maneuvers they do and how complex they are. A lot goes into them to make it look easy, but really, they're anything but. As unmanned aerial vehicles, or UAVs, become a staple of modern military operations, their uses and forms have grown more varied. Today they range from slingshot-launched spybots to global guardians. In fact, the acronym itself may be morphing into UAS (unmanned aerial systems) to indicate that these are not just aircraft, but systems that include ground stations and other elements. It's not just the military that uses them -- police use the same technology for surveillance, while terrorists build flying suicide bombers. Check out the stealthiest, deadliest and highest flying drones in use today, and the UAVs that are most likely to be making tomorrow's headlines. WASP is the smallest UAV in use today, weighing less than 300 grams. The miniaturization is achieved by the use of multifunctional components, like the combined wing/battery. WASP is nearly silent and, when flown at night, it's almost undetectable. The Air Force has just ordered several hundred for reconnaissance and bomb-damage assessment. The MQ-1 Predator was an evolution of the earlier Gnat-750. Originally intended purely for reconnaissance, it was later armed with a single Hellfire missile. 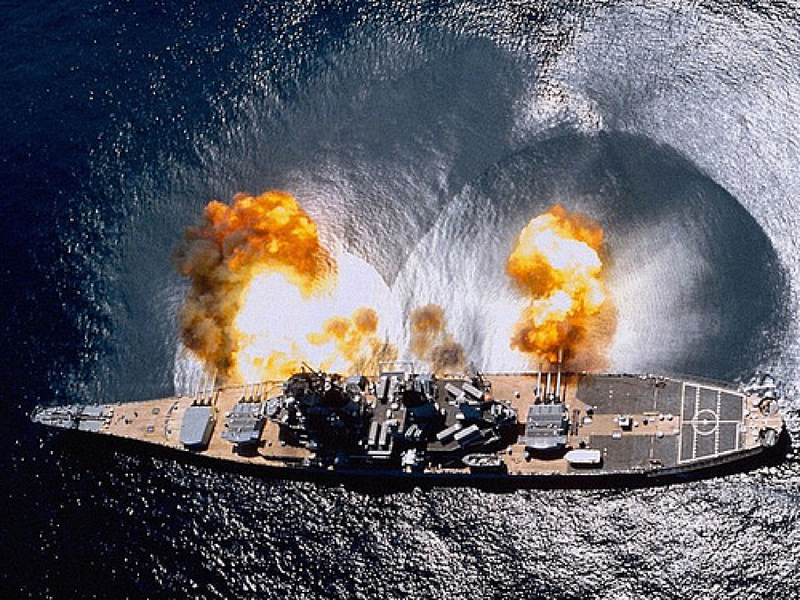 This combination appears to be extremely effective at precision strikes according to the Department of Defense, which claims a success rate of "nearly 100 percent." Predators are used by both the Air Force and the CIA. The MQ-9 Reaper is a scaled-up version of the Predator, larger, faster and more powerful. Reaper was designed from the outset as a hunter- killer. It can carry up to 14 Hellfire missiles or other weapons such as the 500-pound, laser-guided bombs shown. The 432nd Wing of the U.S. Air Force was activated to operate MQ-9 Reaper on May 1, 2007. RQ-4A Global Hawk is the Air Force's endurance drone, able to cruise at around 400 mph for 35 hours. It has an operational ceiling of 65,000 feet, and from this altitude it can scan an area the size of Illinois (40,000 nautical square miles) in just 24 hours. It is equipped with radar and infrared, as well as optical sensors. The Joint Unmanned Combat Air System demonstration program, or J-UCAS-D, is intended to be the forerunner of the next generation of stealthy robot-strike aircraft. Its geometry and radar-absorbent materials make it difficult to impossible to spot on radar, as well as making it look badass. 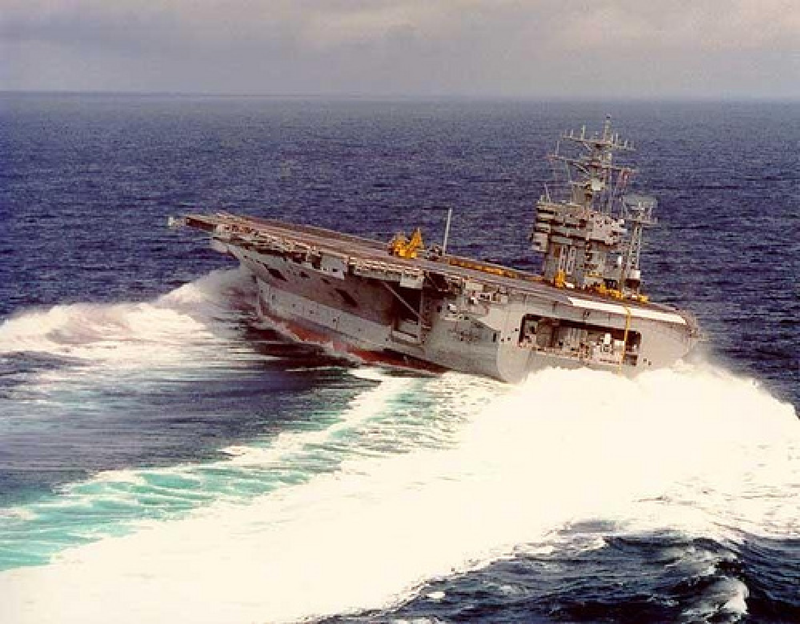 Operating from aircraft carriers, the UCAS-D could fulfill the Navy's goal of an aircraft that can carry a payload (such as bombs) of up to 2,000 pounds, plus an extra 2,500 pounds externally when stealth is not required. A typical use would be to send unmanned drones in as a first wave to take out enemy air defenses and clear the way for manned aircraft. The CQ-10 Snow Goose is a parafoil-wing UAV for carrying medical equipment or other urgent supplies to Special Forces operating in unfriendly territory. The flexible wings are made of textile, like a parachute. 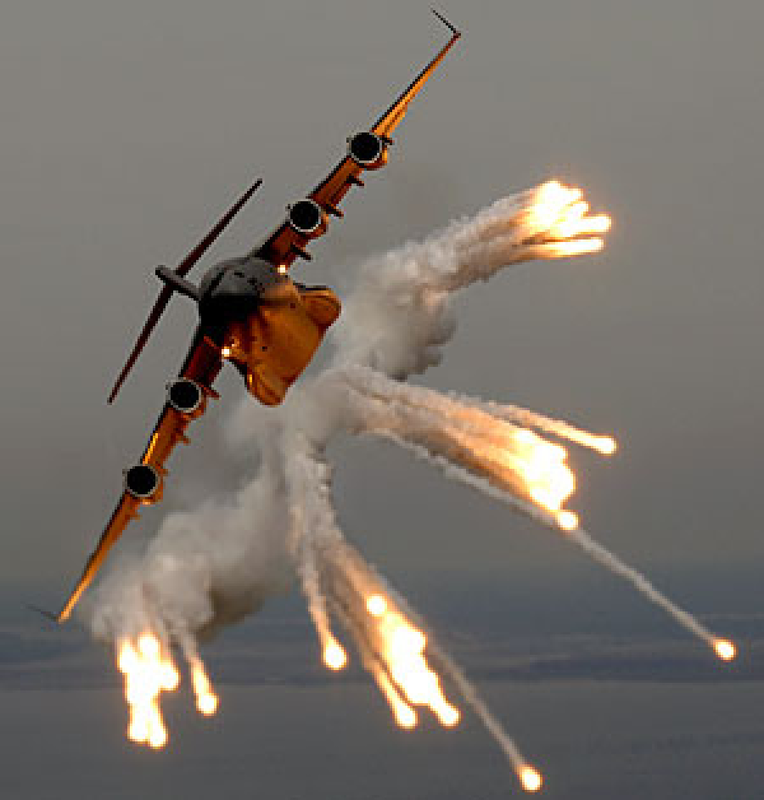 The Snow Goose can be launched from the ground or from the loading ramp of a transport aircraft. Range and payload are inversely proportional; the CQ-10 can carry a 75-pound payload for 200 miles, or 500 pounds for a shorter distance depending on launch altitude and wind speed. The MIRSAD-1 drone has been flown over Israel by the Lebanese militia group Hezbollah (mirsad means "ambush" in Arabic). It may be armed; Hezbollah has claimed that it can be loaded with a warhead of 40 to 50 kilos (90 to 110 pounds) of explosives, turning it into a flying suicide bomber able to reach anywhere. The Israeli Defense Force shot down two similar drones in 2006. HELIOS was NASA's record-breaking solar-powered flight demonstrator. It achieved an altitude of more than 96,000 feet -- the highest for any aircraft not powered by a rocket. A combination of solar cells and fuel cells meant it could, in principle; stay aloft for days, weeks or even months at a time. The Battlehog 150 is intended to meet the Marine Corps requirement for a vertical takeoff drone capable of operating from aircraft carriers. It can fly at over 300 mph with a payload of 500 pounds, with armaments likely to include Hellfire missiles, rocket pods and 7.62-mm mini-guns. The Battlehog series is designed to be as robust as possible, being able to withstand small-arms fire from close range. The drone is steered entirely by moving the two wingtip fans, so there are no vulnerable flight controls. The Killer Bee is part UAV, part missile. It's intended to be deployed in 'constellations' of many vehicles working cooperatively. These swarms can be used for either reconnaissance or for attack with up to 30 pounds of weapons per drone. The Killer Bee is designed so several can be stacked together in the cargo bay of an aircraft or in a truck , maximizing the number that can be carried. The German-made Microdrone is equipped with GPS, a camera and a loud-hailer to give instructions to those on the ground, and is currently being tested by police in the UK. This type of UAV is the one you're most likely to see hovering around your neighborhood. Its quad-rotor design is intended to make it resilient -- Microdrone can return to base with just two rotors. Law enforcement officials hope the Microdrone can carry out some of the tasks of police helicopters, but at a fraction of the cost. The MQ-8 Fire Scout made by Northrop Grumman is operated by the U.S. Navy and can make an automated landing on a moving aircraft carrier. Typical missions include surveillance, locating targets and directing fire. 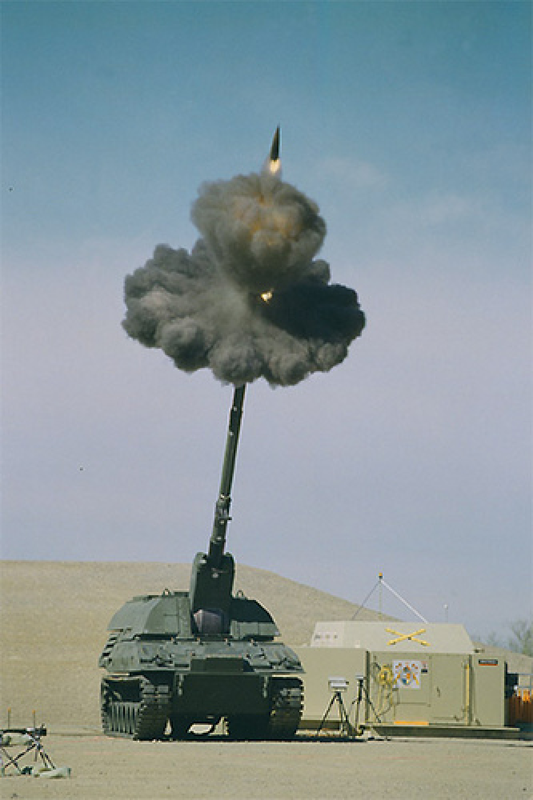 There have also been weapons tests with a Fire Scout armed with 2.75-inch rockets. 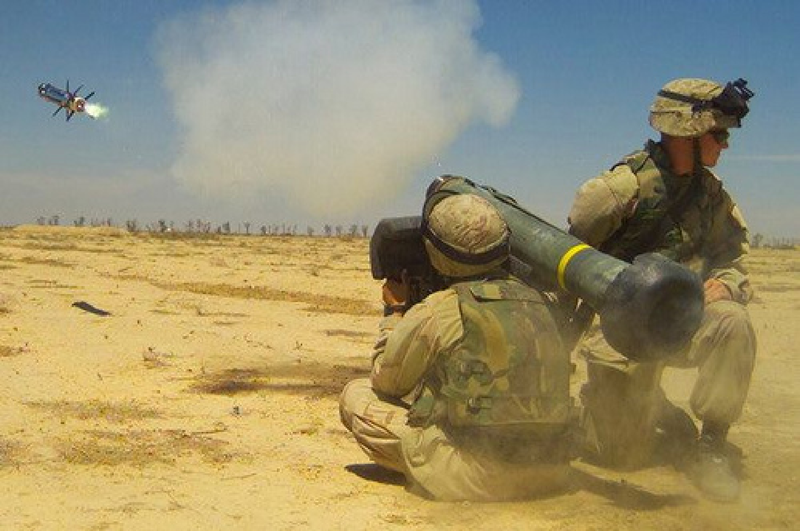 The U.S. Army has now shown interest in having its own version. Though nine MQ-8 vehicles are in the flight-test stage, the model is not yet operational. The Navy plans to eventually have a fleet of 168. The Honeywell MAV, or micro air vehicle, will be an integral part of the U.S. Army's Future Combat System, giving reconnaissance capability to front-line troops. The small 'Class I' version seen here will be back-packable. It has a planned weight of 20 pounds, and is capable of a 50-minute mission spying on locations up to half a mile away. The vertical takeoff and hovering capability make it well-suited to the urban canyons of the modern battlefield. The morphing micro air/land vehicle, or MMALV, is a hybrid that can fly, then land, fold up its wings and crawl around buildings or other tight spaces. The MMALV project is lead by BioRobots, in collaboration with the Biologically Inspired Robotics Laboratory at Case Western Reserve University , the University of Florida and the Naval Postgraduate School. Originally used for tracking schools of tuna, the Scan Eagle drone is used by the Marine Corps in Iraq , where various versions of the model have flown several thousand hours of missions. It has a stabilized, gimbaled camera turret that can be fitted with either daylight or infrared imagers. 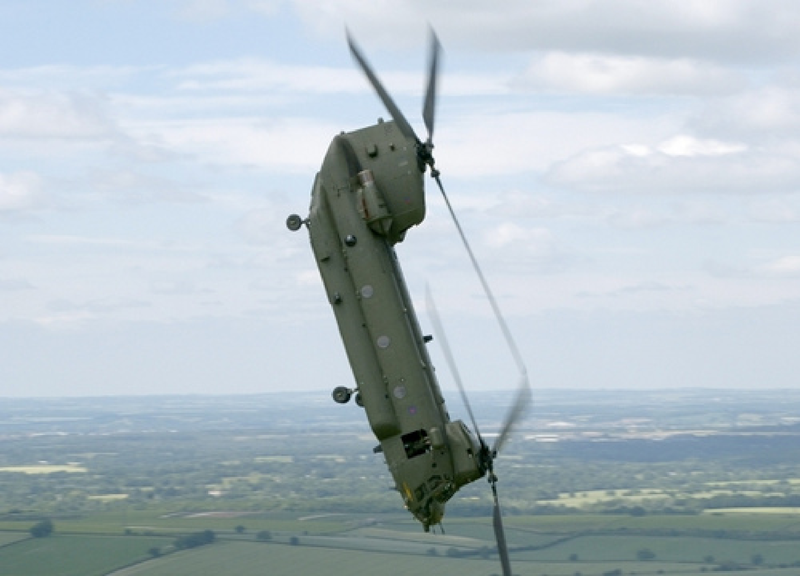 No runway is required; instead it is fired aloft by a pneumatic launcher and retrieved by a rope-and-hook arrangement where a crane snags it out of mid-air. As you advised me on Anzac Day, the QURA Inc Newsletters have been hitherto erased by an over-enthusiastic virus killer program in my computer. One would but wish that the next avian ‘flu could be as swiftly and effectively dealt with! An absolute delight to see all the pictures and read the stories and a great sadness to see vale Debbie Neilsen. A very lovely lady. Well done to all who put this newsletter together. A brief note about the QUR plaque at UQ! Firstly and unfortunately, I am not able to be there for the unveiling as I am returning that morning from Norfolk Island. I have faxed apologies to the Protocol Office at UQ. Secondly, I have made a donation to the Plaque Appeal via a direct debit into the Association’s bank account. It’s identified through mention of both the plaque and my name. A receipt will of course be appreciated. I hope both the unveiling and the appeal are successful. One day soon I’ll drop by the Great Court and view the sculpturing! Thank you for your recent news letter, always good to keep in touch. In particular I was pleased to see the details on Tom Parslow. A good friend and a great fellow. Regarding the members list there are in my case a few errors. My status should be PUOM not 2012 as listed. Is this the event where the Govenor will be attending? Lawrence is meant to be playing in 2 Wing Band (AAFC) for this event. I would love to be there, since I have a dual interest, could you send me the times, etc, I'd love to park at QUR and walk up with the rest of the group. Any small important part, when dropped, will roll to the most inaccessible place. If you dial a wrong number, you never get a busy signal, and someone always answers. If you tell the boss you were late for work because you had a flat tyre, the very next morning you will have a flat tyre. If you change traffic lanes, the one you changed from will always move faster than the one you changed to. When a body is fully immersed in water, the telephone will ring. The probability of meeting someone you know increases dramatically when you are already with someone you shouldn’t be with. The severity of an itch is directly proportional to the square of the difficulty to reach it. As soon as you sit down to enjoy a cup of hot coffee, your boss will ask you to do something that will take until the coffee has become cold. If there are only two people in a locker room, they will be issued immediately adjacent lockers. The possibility of an open-faced jelly sandwich landing face down on a floor covering directly correlates to the combined newness and value of the carpet. If you don't feel well, make an appointment to go to the doctor. By the time you get there, you will have recovered. If you don't make an appointment to see the doctor, you will get worse. Anything is always possible if you don't know what you are talking about. 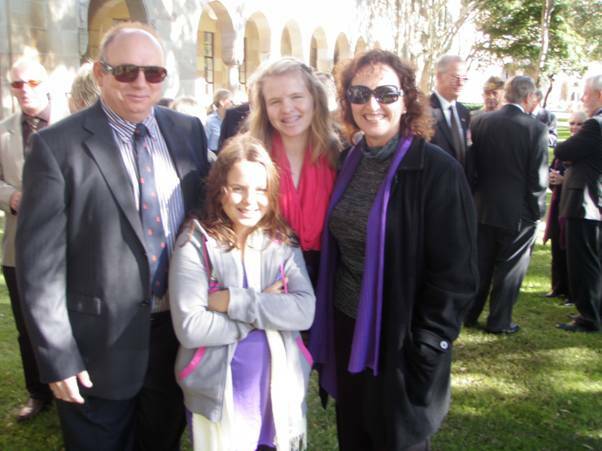 I have actually received an official invitation from UQ and will be there with Monica. Unfortunately I will not be able to attend the Reserve Forces dinner as I will be deployed to PNG, going Saturday night via Townsville. Subject:- Garry's letter - C.M. June 29 Letters to Editor - title was "Shakespearean Downfall"
The Annual General Meeting for the QUR Association will be held at the United Service Club, Wickham Terrace, Brisbane on the evening of Friday 10 September 2010 at 1900 for 1930 hours. If you know of any former members of QUR that have been part of QURA or might like to join, please invite them along to the Dinner/AGM. The committee has worked hard to obtain a very reasonable price for the evening - $65. The price will include limited pre-dinner drinks with a 3 course meal that includes wine and port. 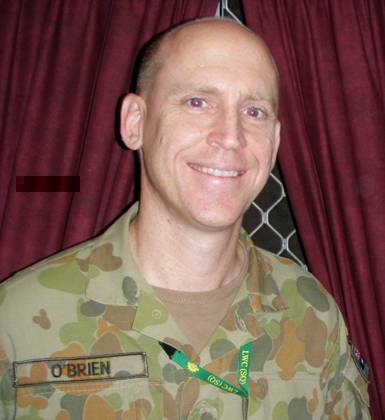 The guest speaker will be Brigadier Iain Spence, Director General Reserves, Australia. Iain will be able to give members the lastest thinking on where the Army Reserve is heading. I will be attending the Association’s Annual General Meeting Dinner to be held at the United Service Club, Wickham Terrace, Brisbane on the evening of Friday 10 September 2010 at 1900 for 1930 hours. I understand that from 7 September 2010 should I later find that I cannot attend, I will be liable to pay for the function. For members with internet banking, a payment of $65.00 may be made direct to the QURA Bank Account. Details are BSB 064 129, Account 0090 4500, Account Name QUR Association Inc.
And by thy sword shalt thou live. The sword itself often incited a man to fight. When great numbers of people are killed, one should weep over them with sorrow. When victorious in war, one should observe the rites of mourning. Whenever a people has grown savage in arms, so that human laws no longer have their place, the only effective means of reducing it is religion. The circumstances of war are sensed rather than explained. Man has become great through perpetual struggle. In perpetual peace his greatness must decline. They have sent me here to manoeuvre, but things are not going very brightly. This eternal stretching out in line is getting on my nerves. Give a person a fish and you feed them for a day. Teach them how to use the internet and they wont bother you for weeks. If you get too big for your britches you’ll be exposed in the end. Whenever you feel blue, start breathing again. It’s true that an early bird catches the worm, but the second mouse gets the cheese. Junk is something you keep for years then throw away three weeks before you need it. Life is like toilet paper. The closer you get to the end, the faster it goes. He is the biggest bull artist since Picasso. Don’t move. I want to forget you exactly as you are. Next time you pass my house I’d appreciate it. His family have been aristocrats for degenerations. He is a member of the effluent society; one of the stinking rich. The upper crust is just a few crumbs held together by a lot of loose dough. Formal wear for Australians is care to ensure that one’s thongs are the same colour. When two egoists meet it’s case of an I for an I. The coffee they serve is a special blend; some of yesterday’s with today’s. I call my car Flattery. It gets me nowhere. An Irish pillion rider is called Pat on the back. Athletes run in the family. My dog has such a pedigree that, if he could talk, he wouldn’t speak to either of us. Always hire a rich lawyer. Life’s tragedy is that we get too old soon and wise too late. It was a lovely day I thought it was a pity to get up. The present is the period when the future pauses for a short while before becoming the past. payment is now due for 2010.